Every year, February 4 is observed as World Cancer Day around the world in order to raise awareness about the disease. According to independent surveys, around 9.5 million people worldwide were expected to die of cancer in 2018 which means about 26,000 cancer deaths per day. 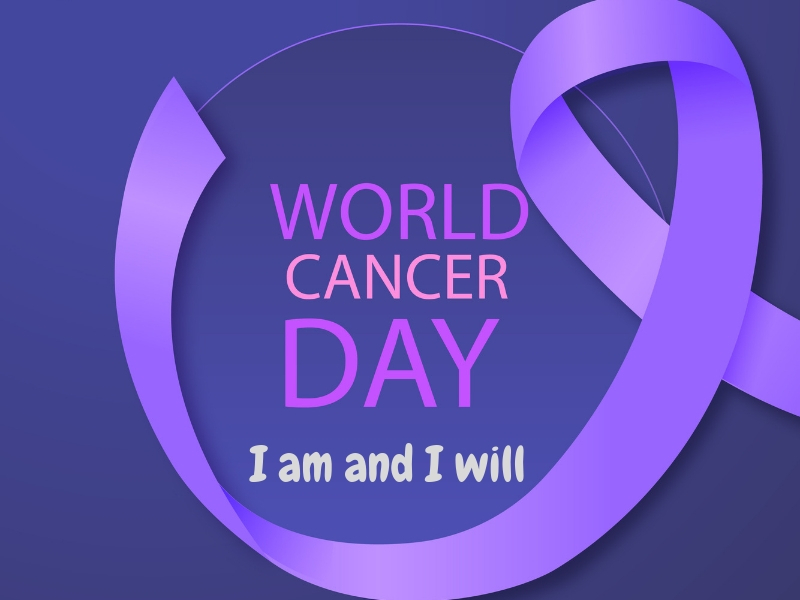 This year, the Union for International Cancer Control (UICC) that organises World Cancer Day, is launching a new three year campaign with the theme “I Am and I Will” calling each one of us for a personal commitment to help fight cancer. On the occasion of World Cancer Day, we interviewed Dr. Sandeep Nayak – India’s prominent surgical oncologist (cancer surgeon) and chief of surgical oncology at Fortis Hospital, Bangalore – about the risk factors of this disease, trends and treatment procedures. Here’s an excerpt from the interview with our correspondent Odeal D’Souza. How has the medical profession evolved in relation to cancer treatment since your student days? When we were students over 25 years back, cancer was called a “rare disease” with no effective treatment. People hardly knew about the disease and those who knew thought it as a death trap. However, now cancer has become a common disease and is no longer a rare disease. It is become so common that at least one person in a family is diagnosed with cancer. Medical treatments including surgery are so much advanced that we have robotic and laparoscopic surgeries now which are very effective in treating cancer. Early detection can aid in cure and hence people need not get scared. Also, there is increasing awareness among the educated people, which is also a great welcome change. In several places in our country the early diagnosis rates have gone up. What made you choose Oncology as your stream of specialisation? When I was a student I realised that most of the other areas in medical sciences were already quite well developed in terms of research and treatments. However, Oncology was a developing field and I thought it would be interesting to venture into this field which offered immense scope for research and learning. Medical facilities in the rural areas for cancer are quite expensive. What initiatives can the government take up? The only way out to reach the rural population is through education and health awareness programmes. Early detection facilities can be made available and then proper guidance can be provided to the cancer detected patients to reach to the right treatment channels. Also several governments have launched a lot of schemes, but they are not enough. They have to make the treatments available in places where it is essential and at lower costs. This makes it more accessible to people. I worked in Kidwai hospital and I have witnessed the difficulties people face in generating even small amounts of money for cancer treatment. At the same time, government should see that there are proper facilities made available in the rural areas where government doctors are placed. Usually many doctors hesitate to go to rural areas due to inadequate sanitation, transportation and other facilities. Government should look into these issues and work on it. How is lifestyle related to cancer? Around 33 percent of cancer deaths can be prevented by behavioural and dietary changes. The risks include high body mass index, low fruit and vegetable intake, lack of physical activity, tobacco and alcohol use. Modifications in lifestyle, health regimes can help in keeping the disease at bay. What are your recommendations on dietary habits to help avoid cancer? In this case it is best to listen to your grandmother’s advice. Eat homemade food, try and avoid processed and outside food. Food is one of the suitable precautions. Simple dietary changes will help raise levels of immunity, resistance and longevity thereby preventing and fighting cancer. Choose whole grains over refined flour, since they are more nutritious than polished grains. Fresh fruits help repair damaged cells; hence they can assist in fighting cancer. Four servings of fruits in a day is recommended. Vegetables contain nutrients that help in detoxifying dangerous elements. Hence please have them in good proportions with all meals. Keep the red meat at bay since it is known to increase the risk of bowel cancer, instead choose fish over meat. It is also advisable to consume foods that are less in fat, because some cancers are linked to high intake of fatty food. Also avoid sweet meat since refined sugars have high glycemic index. Keep the alcohol away. It increases the cancer risk. Exercise plays a key role in preventing cancer. According to independent estimates, upto one-third of cancer related deaths are due to obesity and a sedentary lifestyle, including two of the most common cancers — breast and colon cancer. A good goal is to exercise at least 30 minutes a day on most days of the week. Moderate intensity activities such as brisk walking, slow swimming, leisurely bike riding will also do. Since people are very busy in their professional lives and much of the time is consumed in work hours, people should attempt to use stairs instead of an elevator whenever they can, walk or bike to their destinations, dance in a while; do sit ups, push-ups and leg lifts while watching TV or listening to radio. How about the influence of hereditary factors on cancer? Less than 10 percent of cancers are hereditary. Others are due to environmental and lifestyle factors. Usually hereditary or genetic cause of cancers are suspected when the patients are young or have multiple cases of cancer in one family. Hence for such patients, genetic counseling and testing is done to know the risk of cancer. Once you know the risk, cancer can be prevented by surgery or other methods. One popular example in this case is Hollywood actress Angelina Jolie who underwent double mastectomy to prevent breast cancer. What is your advice to smokers and tobacco addicts? Tobacco smoke is made up of more than 7,000 chemicals including over 70 known to cause cancer (carcinogens) and hence smoking is the greatest avoidable risk factor of cancer. Tobacco smoking causes many types of cancers, including lung, oesophagus, larynx (voice box), mouth, throat, kidney bladder, pancreas, stomach and cervix. About 70 percent to the lung cancer burden can be attributed to smoking alone. Second-hand smoke also known as environmental tobacco smoke (the smoke a smoker breathes out and that comes from the tip of burning cigarettes, pipes and cigars) has been proven to cause lung cancer in non-smoking adults. Generally children are more at risk in second-hand smoke if parents are smokers. Chewing tobacco or snuff increases risk for oral, oesophageal and pancreatic cancer. What are the latest technological advancements in cancer treatment in India? 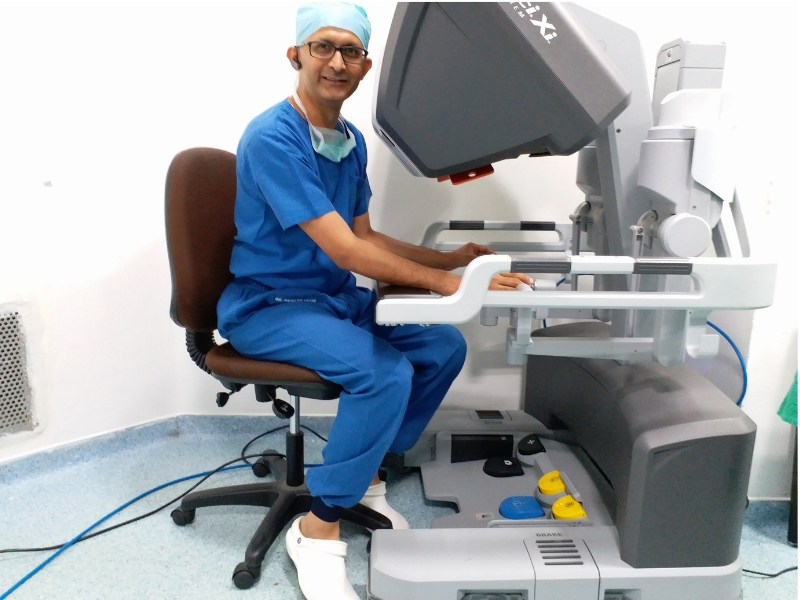 Robotic and laparoscopic surgery for early cancer. People with early detection are opting for laparoscopic or robotic surgeries. Some of the benefits for the same include less pain and discomfort, less blood loss, best cure and quicker return to normal life. Several Indian hospitals are very well equipped and highly advanced in treating cancer. So patients need not go abroad for treatments. Lump or swelling: Usually cancers of breast and limb begin as painless lumps or swellings hence any newly appearing lumps should be thoroughly investigated. A new patch or wound sore: Oral or mouth cancers are common in India. These start as patch or wound and progress over months, many other cancers in other parts of the body start like this. If diagnosed early they can be treated effectively. Anaemia: Tiredness in cancer is due to anaemia and nutrient deficiency. Others signs to watch out for include blood while passing stool, blood in urine, bleeding in between periods or even a drop of blood after menopause, loss of weight without trying, loss of appetite and bloating, lymph node enlargement, trouble while swallowing or vomiting, mole that is itchy, bleeding irregular and increasing in size. What is your message to the people on World Cancer Day? Most of the patients tell me that they didn’t have pain, and hence they thought it is not very important to consult the doctor even though they saw some symptoms. Please note that pain is never a factor to be kept in mind. Cancer is a painless disease. Pain occurs very late in cancer. Also, keeping with this year’s UICC message “I Am and I Will” please do not hesitate in talking about the disease. Spread awareness, and be open about it and fight it hard. Dr. Sandeep Nayak holds a post graduate degree in General Surgery from Government Medical College, Calicut and did his postdoctoral training in Surgical Oncology from Chittaranjan National Cancer Institute, Kolkata. He also has a fellowship in Laparoscopic and Robotic Oncosurgery. During the past several years of his experience, Dr. Nayak has acquired immense knowledge in colorectal, esophageal, head and neck and thoracic cancers, breast and gynecological oncology. He is well known for highly specialised surgeries like Robotic ISR for rectal cancer and Robotic 3 field Esophagectomy.